Here is your guide to the Vodafone Big Top 40's brand new entries that entered the chart on the Sunday's show. We had an incredible TEN new entries on this weekend's show from pop royalty Taylor Swift all the way to British legendary rockers Muse. So sit back, press play and enjoy these brand new chart songs. Starting at No.39 and working our way up to the highest new entry we start with Wilkinson's collaborations with Thabo. This track will no doubt get you in the party mood with its driving rhythm and top quality vocals. The single features Thabo (a.k.a Thabo And The Real Deal) an acoustic soul group from Huddersfield, UK. We've all seen the blockbuster of a music video however the track's album version also had enough sales for it to enter near the foot of the chart on Sunday. However where did new Kendrick Lamar version end up? The British rock stalwarts are back with another killer track. They premiered the single live on the 9th May 2015 at the iHeartRadio theatre. The Australian six-piece made up of several family members burst into the chart this week with their super catchy song 'Geronimo'. The FOURTH single from the bands new album 'How Big, How Blue, How Beautiful' written by Florence Welch and Isabella Summers entered above singles from Ariana Grande, Meghan Trainor and Taylor Swift this weekend. This cover of Jason Derulo's No.1 single 'Want To Want Me' was seen by millions when it went viral last week. So much so that it ACTUALLY entered the UK's freshest real-time chart, the Vodafone Big Top 40! This is what you get when you put the world's youngest superstar DJ with one of the smoothest men in music. Martin Garrix & Usher are together to make this year's superpower in music. Sweden's entry into this year's Eurovision Song Contest not only walked away with Europe's grandest prize, a day later he scored a place in the top ten of the Big Top 40. Here it is! Taylor Swift's record breaking music video for 'Bad Blood' has been the talking point of a LOT of chart fans this week. The blonde bombshell scored herself the No.3 spot just behind Omi's 'Cheerleader'. 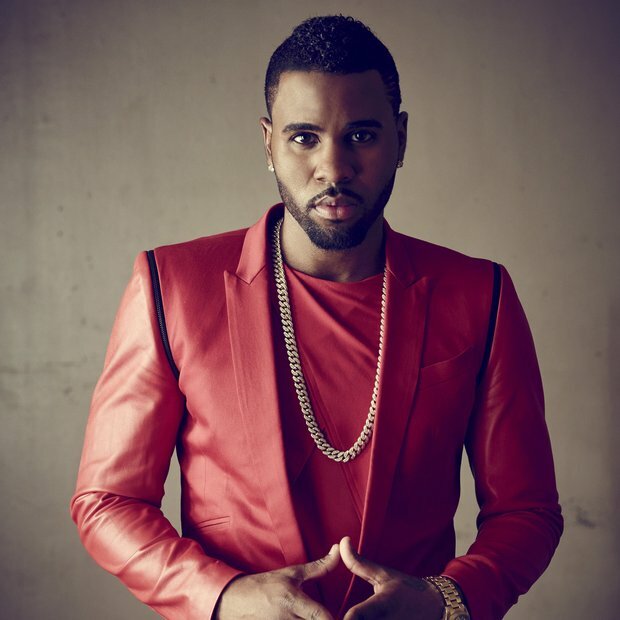 Congratulations to Jason Derulo. The 'Trumpets' star grabbed the No.1 spot only hours after the song was released on iTunes.